· Operating Profit for Q3 increased by 7.15% on a Y-O-Y basis from Rs.1732 crore to Rs 1856 crore. · Net Profit for 03 increased by 12.15 % on a Y-O-Y basis from Rs. 716 Crore to Rs. 803 crore. · Asset Quality improved sequentially. Gross NPA ratio improved from 3.42% in September 2012 to 3.08% in December 2012. · Productivity, a measure of Business per employee increased from Rs.12.83 Cr during December 2011 to Rs.14.51 Cr during December2012. Ø Global Business increased from Rs.5,40,367 crore as at December 2011 to Rs.6,29,473 crore as at 31st December,2012 (Growth: 16.49%). Ø Global Deposits increased from Rs.3,07,252 crore as at December 2011 to Rs.3,49,117 crore (Growth:13.63%) while Global Advances increased from Rs.2,33,115 crore as at December 2011 to Rs.2,80,356 crore as at 31st December,2012. (Growth: 20.27%). > CASA Deposits increased from Rs.78,571 crore in December 201 1 to Rs. 87,972 crore in December 2012 (Growth 12%). CASA percentage improved from 32.41% to 33.84%. > Operating Profit increased from Rs.1731.88 crore in 03-FY 2011-12 to Rs.1855.79 crore in 03- FY 2012-13 (Growth: 7.15%). > Net Profit of 03 FY 2012-13 increased from Rs.716.15 Cr as on Q3 2011-12 to Rs. 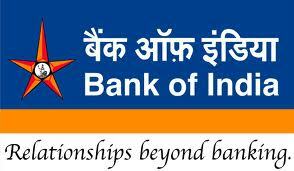 803.48 Cr as on Q3 2012-13, a growth of 12.19%. Net Interest Income (Nil) increased from RS.2067.55 crore to Rs.2308.46 crore on Y o Y basis. (Growth:11. 65%). > Net Interest Margin (NIM) stood at 2.36% for the quarter ended December 2012. > Business per Employee and Branch increased from Rs.12.83 crore to Rs.14.51 crore and improved from Rs.140.57 crore to Rs.150.70 crore on Y o Y basis. > The Bank is in operation across 20 countries with 51 offices / branches. > The Bank opened one more branch in Tanzania and a representative office in Johannesburg has been upgraded to branch in 'September 2012. > The Bank plans to open subsidiaries in Botswana, Canada and Brazil. • The Bank added 147 branches and 158 ATMs during the year, taking the total number of domestic branch net work to 4147 and ATMs to 1838 as at 31st December, 2012. · As recognition of our Financial Inclusion efforts, Bank has received the prestigious `Aadhaar' Excellence Award at the hands of the Hon'ble Prime Minister. · The Bank has been rated by ET as the Second Most Trusted Brand in India" among the PSU banks. · As a Bank committed to Financial Inclusion efforts, the Bank has opened 74 lakh Basic Saving Bank A/c (No frill a/cs) and has engaged 4358 Business Correspondents. The Bank has also achieved 100% Financial Inclusion in 10,412 villages. The Bank has lead district responsibilities in 48 districts across 5 States and has sponsored 5 RRBs. 42 Rural Self Employment Training Institutes and 6 ABHAY Counseling centres. · The Bank has been awarded as "The Best Bank for excellence in AADHAR related UIDAI programme of Government of India at the hands of Prime Minister at DODU village near Jaipur in Rajasthan". · The Bank has been awarded the 'Outlook Money Award 2012' for "Best Education Loan" provider. · Bank has been awarded ET 2nd Most Trusted Brand in India. · The Bank has been conferred with National Award-2011 for implementing PMEGP scheme in West Zone. · The Bank has been ranked Second by Ministry of MSME, New Delhi, based on its performance in lending to Micro Enterprises. Award 2010 from IBA in the best Business Enablement Initiative category. 2. Expansion of SME, Retail and Rural Business. 3. Focus on Credit Monitoring and Recovery. 4. Inclusive Growth through Financial Inclusion. 5 Progress on I.T. Enabled Services for better customer satisfaction. 6. Focused attention on Human Resources.